Keith graduated with BA (Hons) in History from Hull University 1982. He has been providing independent financial advice since 1985 and joined Blackadders LLP in July 1991. Keith was instrumental in setting up Blackadders Wealth Management LLP in November 2016 and in developing the firm into the position of being one of the leading independent IFA and portfolio management firms in Scotland. He specialises in Investments and tax efficient strategies, Inheritance Tax mitigation and Trusts and is the Deputy Chairman of the firm’s Investment Committee and a key member of the firm’s Management Board. 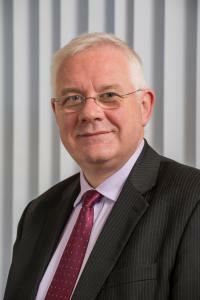 He is also an external examiner for the Business and Financial Services element of the Diploma in Professional Legal Practice with the University of Dundee. He was also previously a tutor on the Conduct of Investment Business rules for SOLAS and won the Scotsman IFA of the Year competition in 2008. Away from work, Keith divides his time between family and playing golf but he is also a keen car enthusiast which allows him to explore Scotland and further afield whenever he can.